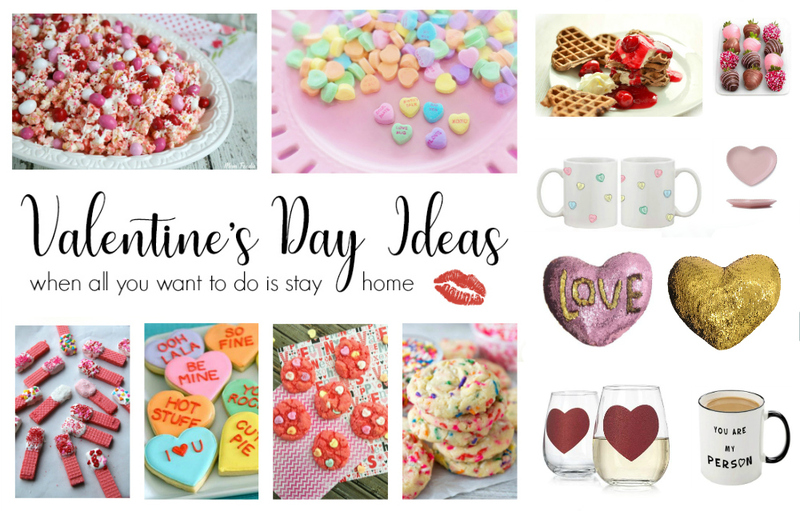 Are you looking for Valentine’s Day ideas that will bring more tradition into your home than commercialized nonsense? Correct me if I’m wrong, but the pink and red holiday for sweeties might be the most overcommercialized one on the calendar. If you ask me, one does not need a calendar holiday to say, “I love you.” But, all the same, we have grown to know and love the icons of this mass marketing frenzy. So, to keep it fun, I’ve made some traditions by using these Valentine’s Day essentials to tell my family how much I love them because love goes beyond your significant other. From Conversation Hearts to hot chocolate, this is how I share the love and get one more excuse to pack my face full of wine, chocolate, and cookies before going full diet mode. I have some affiliate links in here at no cost to you, it just throws a little change my way to keep things running. Before I start, I want to get into the essentials, the “bucket list of Valentine’s Day ideas” if you will. These are iconic things that I always have on hand to get my traditions rolling. If you want to follow my traditions (or make some of your own) I suggest you start with this list. If you’ve ever tried to join the general population for dinner, a movie, or basically any kind of date on Valentine’s Day, then you know it’s basically miserable. Long lines, bad service, expensive dinners, and blah, blah, blah. And where does that leave your kids? While the origins of Valentine’s Day are interesting, it’s actually become more of a date night feeding frenzy. So I like to keep the day in the house, eat yummy treats, relax, watch a movie, and share laughs with the ones I love. I hit the ground running on VDay because five out of seven days a year it falls on a school day. So, the very first thing I do is make heart-shaped waffles with strawberries or cherries for my kiddo. And I’m not talking about the Stepford Wife way, I’m talking about the kitchen scissors and Eggo way. Drizzled with Strawberry syrup and topped with fresh berries and whip cream. I serve my quick dish on a VDay plate and pour juice in a cute paper cup. Also, coffee served to all in cute VDay mugs. How’s this for multitasking? Cute heart plates that are reusable so you only have to buy them once. Ceramic heart plate which is adorable. My favorite ceramic heart plates these are classic and simple. Paper plate, cups, napkin bundle if you want to be dish duty free, go for paper. This mug is really cute, I might get this myself. These adorable conversation heart mugs are on Wayfair! For lunch, I pack my son a heart-shaped sandwich (you can use your heart-shaped cookie cutter for this), Conversation Hearts and a couple chocolates (I like to use Dove Milk Chocolate Hearts). And, I slip a handwritten love note into his school folder so he can be randomly reminded that I love him so, so much. This year I decided to get my family to spread the love without spreading the cheese if you know what I mean (because wearing a VDay T-shirt might just be the corniest thing I’ve ever seen). I got us all funny T-shirts to wear, special thanks to Boredwalk Los Angeles, so they could get smiles all day no matter where they are. Now, this might not be for everyone, but I personally LOVE making Valentine’s Day sugar cookies or something similar for my family. It gives us something to munch on after school and when we’re watching our romantic comedy. You can even make special Valentine’s Day popcorn, “cupid corn”! You can even slip a cookie or some popcorn in your kiddo’s lunch. I made these amazing strawberry Valentine’s Day cookies a few years back. This year I’ll be making cupid corn and traditional heart-shaped sugar cookies with icing. Don’t go all out. You want to be spending time with your family, not in the kitchen. If your cookies are Michelangelo level museum quality and require iris verification and a security guard to access, get back on my level. These adorable popcorn boxes will give your cupid corn all the flair! All you need for your sweet treats is right here! Use these Wilton sprinkles to decorate your cookies! If you’re not having at least wine on VDay, then you’re not living. Cocktails are fun, but I rather keep them for the years when the holiday falls on a weekend if you know what I mean. This year I’m getting a special bottle of Game of Thrones wine because we are SUPER fans and I know my other half is basically going to die when he sees it. But, if you want something a little more Vday-ish then check out these Hello Kitty Wines. Wines from Hello Kitty that will make you squee! Valentine’s Day is not the day to cheese out on chocolates. I mean unless random buying of fancy boxed chocolates is your thing. You can actually find some really cool love inspired boxes for your family. I found these on Amazon. Note: I also found some on sale in my grocery store but I’m not sure all stores carry Godiva. 47 gourmet premium chocolates in 13 flavors YES! Probably one of the most wasteful things to buy another human is a VDay card. I mean really, you buy it, they read it, they giggle, say “awwwww” and then it’s a dust collector. That’s why I like to make my own and make them on PAPER CUPS (that’s right, the paper cups you’ll be using for your hot cocoa)! Say what you really feel. A couple of years ago I published Nerdy Valentine’s Day Quotes for this very purpose. They are even printable! Or you can get silly, super next level mushy, whatever speaks to you. Plus, the kids can get in on it too. Just leave a little card making station out for your family a few days before VDay and let them be inspired! And make more than 1! You can use these for OJ in the morning too. A variety of embellishments, foam scrapbooking stickers, and glue on rhinestones work great! Start with these (or similar) cute pink paper cups. Decorate with foam stickers + write your message with a Sharpie! Last but not least, hot cocoa! Remember those cards you made? After you’ve all handed them out to each other, it’s time to get your hot cocoa on! You can get as creative as you like. Now grab your sweet treats and get ready to sink into your sofa with your warm fuzzy socks, your favorite humans (and furbabies), and a special cup of hot cocoa. It is winter after all! And cozying up with the ones you love is what it’s all about. This is probably the easiest treat to make your family on VDay. And your kids will love getting in on the fun. I made this last week in my favorite unicorn mug, but you get the idea. Also, feel free to follow my lifestyle feed! Pink heart paper straws or you can use gold or red! In my family, we tend to break the rules. And I buy my man flowers on Valentine’s Day! We all enjoy them in the house and it teaches my son that you don’t have to do something just because everyone else does. Since we’re all going to have so much fun giving cards, stuffing our faces with cookies and drinking wine, you’re gonna want to skip the kitchen cleaning. I opt for takeout instead. Either Mexican or Chinese. Either way, nothing says, “I love you” like not having to do the dishes. You can use Uber Eats otr Grub Hub so you don’t even have to leave the house! My house has no less than 20 throw blankets. There is a place to bundle up and get cozy at nearly every turn. So, for Valentine’s Day, I make sure we all have soft and fuzzy heart socks or something similar so we can all get ready to cozy up for our movie. You can also add a couple pink or gold toss pillows to add to the overall vibe. Remember these things are all reusable. I also like to get new sheets this time of year. I always go with white or light grey. Both work well with cute toss pillows with Valentine’s Day colors. 2 toned gold or pink heart toss pillow for your movie fest! Grey throw blanket big enough for two! Try these 1000 thread count 100% pure cotton sheets. They have a good price and will get you cozy in no time. Check out their full website here. Don’t forget to add toss pillows! Everyone wins when watching a romantic comedy. I mean, I’m all for The Notebook level of ushy gushy, but I feel like relatable love is easier for the whole family to digest. Another really cool way to celebrate VDay is by joining a subscription box like Crated with Love which is a date night delivered every month! It encourages couples to interact, connect and grow by coming together once a month for a fun at-home date night. I love this idea, and was lucky enough to sample one of their boxes which I absolutely loved! We had so much fun and realized we don’t come together like that nearly as much as we should. So if you want to spread the love a little longer, check out Crated with Love. And Viola! You just pulled off a special day full of cuteness and love and most importantly, tradition. Valentine’s Day does not have to be about dropping wads of cash, waiting in dumb lines, or being rushed so waiters can turn and burn the dinner tables. You can have a chill night in with the ones you love and more with these Valentine’s Day ideas. You’ll have more all the vibes than you’ll ever get in some fancy restaurant. I think Valentine’s Day is over-rated, haha! Because I mean, I love my husband every day (cheesy, I KNOW)… But also, going out is stupid on Valentine’s Day too, it’s too crowded because everyone is trying to impress someone else when really we all end up in our sweats, sitting on the couch, burping a baby and farting ourselves and then laughing at each other for it. LOL! I super super love all these ideas, they’re awesome. I can’t chose a favorite really, maybe the socks, they’re so cute. Wow! So many cute and cool ideas. Loving this. Thank you so much for sharing! These are some great ideas for Valentines day. Happy Valentines day when it comes everybody. Fun, unique ideas for a holiday that can be pretty run-of-the-mill! These are fun ideas for valentines. I know I’ll be home baking something with outrageous chocolate in it. I love all these ideas for Valentines. I looks romantic, sweet and a lot of fun. Now, I know what to do on this Valentine’s Day! Yes, please! I’m such a homebody but still want to make holidays special. There are so many great ideas here! i love these ideas! We never have a babysitter so we always stay in each year. I love strawberries dipped in chocolate. I haven’t tried that Hello Kitty wine. I wonder what’s the taste. It’s pretty good. I enjoyed all of them. Thank you so much for all of the inspo. I am def behind this year on my preparation. Nice writeup. I don’t really celebrate Valentines as I don’t have a boyfriend. But, here in Japan, girls usually give guys hommade chocolate. We are definitely staying home this year. These ideas are great! As the day is approaching here I found so many good ideas for Valentine’s Day. Thanks for sharing such beautiful post and ideas. These are some lovely ideas for valentines day. I love the couple tee shirt very much. These cookies are just so cute. It definitely give good vibes for Valentines. Love the cute pink colors of it.